Alan Turing was the genius mathematician who cracked the German Enigma code during World War II. Writing on the BBC Vint Cerf, "Mr internet" and chief internet evangelist at Google, wrote: "In 1936, while at King's College, Cambridge, Turing published a seminal paper On Computable Numbers which introduced two key concepts - "algorithms" and "computing machines" - that continue to play a central role in our industry today." 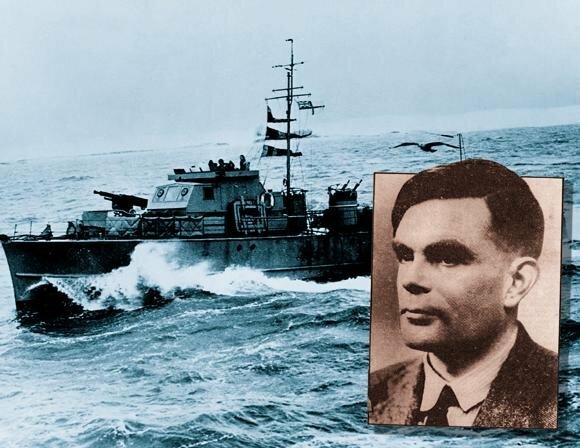 During the Second World War Turing played a leading role in breaking the coded messages being sent to German forces using the Enigma machine. The electro-mechanical Bombe machine he invented to help this work at the secret Bletchley Park centre has been rebuilt by volunteer members of the BCS Computer Conservation Society.